maxiPago! is the first Gateway/PSP built for Latin America providing local payments solutions with global processing standards. With unparalleled capacity, availability and efficiency, maxiPago! offers consolidated access to relevant local payment methods in Brazil, Mexico, Argentina, Chile and Colombia. Maas Global Solutions, a leading provider of global transaction processing technologies and maxiPago! announced today a partnership that includes the launch of a new “smart” payments gateway for Latin America. The platform connects to local card acquirers in Brazil like Cielo, Redecard, American Express as well as local payment methods such as Boleto Bancário and Online Debits. maxiPago! is one of the most advanced payment gateways available with a host of unique features and functionality for the region like recurring payments, card on file, customer payment portal, PCI DSS Compliance support, hosted payments, tokenization, fraud tools and reconciliation. This gateway is clearly the most powerful and feature rich platform in Latin America and positions maxiPago! to be the defacto leader in the payment gateway space in the region. The maxiPago! gateway has both a Portuguese and English interface allowing businesses to process and manage transactions securely through the Internet without ever having to install software. Merchants can process via the maxiPago! API or use smartPages!, the fully PCI compliant hosted payment pages options. In addition, maxiPago! as the first gateway/PSP, is offering a consolidated and fully automated solution for credit card reconciliation, which to date has been a huge challenge for any merchant using local card acquirers in Brazil. “In this complex and competitive market, maxiPago! will stand out because we are offering all the features and functionality that Latin American merchants want but, have not yet been able to get, and all with an eye towards full PCI Compliance and global standard capacity and availability”, said Svante Westerberg, CEO of maxiPago! 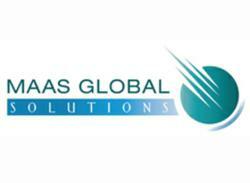 Maas Global Solutions Corporation (http://www.maasglobalsolutions.com) is a transaction technology company that owns and operates a state-of-the-art, fully redundant, load balanced data center that is Payment Card Industry (PCI) DSS Level I, SAS 70 and Health Insurance Portability and Accountability Act (HIPAA) certified. MGS uses the latest security methods to keep sensitive customer information safe and secure. The MGS data center is currently used by thousands of retail and card not present merchants, has an 99.99% uptime and has the excess capacity to process over 100 times the current processing volume and 10’s of thousands more merchants without significantly adding to the hardware configuration. maxiPago!, http://www.maxipago.com, is based in Brazil and is the first Gateway/PSP built for LatAm providing local payments solutions with global processing standards. With unparalleled capacity, availability and efficiency, maxiPago! offers consolidated access to relevant local payment methods in Brazil, Mexico, Argentina, Chile and Colombia. In addition, maxiPago! offers several unique products and features such as; credit card reconciliation, recurring billing, hosted PCI/tokenization, fraud tools and mobile payments.